Justin Bieber Was Spotted Dancing Shirtless And Carefree In His Socks At Choachella – Is He Over Selena Gomez Already? It looks like Justin Bieber is having the best time at Coachella these days. He’s totally mesmerized by the yodeling kid live in concert. A fan spotted Justin dancing in the grass under the sunshine during the first day at Coachella, wearing only a pair of shorts. You can see him having the time of his life in the video below. ‘my brother just sent me this video of Justin Bieber dancing at Coachella I’m so jealous I wish I were there’ – this is how the video is captioned by a fan. As you can see, Justin seems pretty happy and careless, and he’s moving around and dancing to the beat in his socks. It also seems that people are not freaking out that he’s there and nobody is harassing him like it usually happens. Everyone is respecting him by keeping a distance and letting him be himself and do his thing. 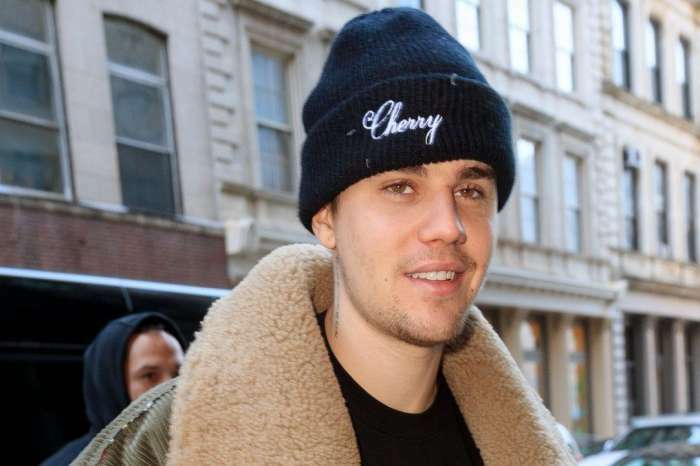 We’re happy to see him like this because lately, he has been going through a really hard time ever since Selena Gomez told him that she needed a break from their rekindles relationship. There’s only one thing that Justin avoided at Coachella – The Weeknd‘s show. Justin, as an insider told Hollywood Life gave Abel’s Coachella set a ‘hard pass,’ and he was hanging out elsewhere. ‘There are lots of other artists he is excited about, and of course parties too. But, stopping to watch Selena’s ex-boyfriend perform is nowhere on his Coachella list of stuff to do,’ the insider told the online magazine.